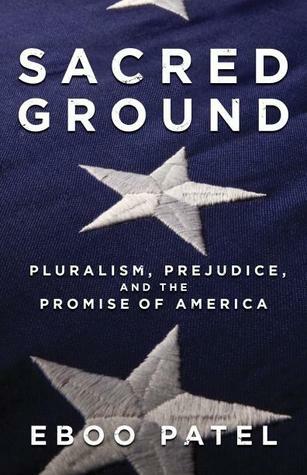 From Random House this month, a new book on anti-Muslim prejudice in the United States, Eboo Patel, Sacred Ground: Pluralism, Prejudice, and the Promise of America (2012). The publisher’s description follows. In Sacred Ground, author and renowned interfaith leader Eboo Patel says this prejudice is not just a problem for Muslims but a challenge to the very idea of America. Patel shows us that Americans from George Washington to Martin Luther King Jr. have been “interfaith leaders,” illustrating how the forces of pluralism in America have time and again defeated the forces of prejudice. And now a new generation needs to rise up and confront the anti-Muslim prejudice of our era. To this end, Patel offers a primer in the art and science of interfaith work, bringing to life the growing body of research on how faith can be a bridge of cooperation rather than a barrier of division and sharing stories from the frontlines of interfaith activism. Patel asks us to share in his vision of a better America—a robustly pluralistic country in which our commonalities are more important than our differences, and in which difference enriches, rather than threatens, our religious traditions. Pluralism, Patel boldly argues, is at the heart of the American project, and this visionary book will inspire Americans of all faiths to make this country a place where diverse traditions can thrive side by side.